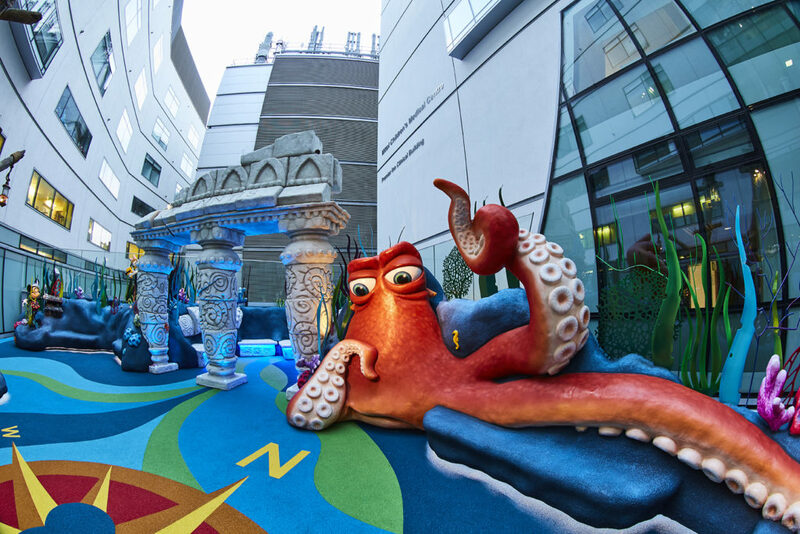 Nine months on from opening The Disney Reef at Great Ormond Street Hospital, Disney was presented the ‘Extraordinary Impact Award’ at the GOSH charity’s ‘Better Together’ celebration evening; for the creation of the hospital’s first children’s outdoor space. “Disney has once again brought the power of their story telling, and their unparalleled creativity to the hospital, creating a special and unique space where children can take some much-needed time outside, away from the busy ward environment. Where they can relax and enjoy themselves with their families and make treasured memories. The impact of this special area in the hospital is not to be underestimated. From parents telling us that they “don’t have tears anymore when I tell him we going to GOSH, just yelps of delight that he gets to go to his favourite place” to the Play Team’s experience of its impact as an incentive to motivate a child, whether that be to cope with swapping to portable ventilation or encouragement to get up and walking. 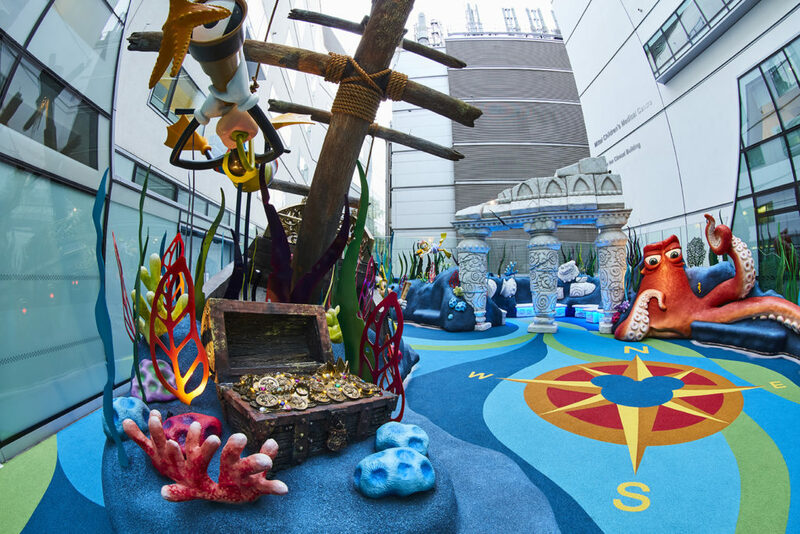 The Disney Reef, positioned in the heart of the hospital, was designed by Walt Disney Imagineers, in collaboration with the hospital’s dedicated Play Team and patients. It brings together special lights and sensory elements, as well as Disney favourites Mickey Mouse and Goofy, Ariel from The Little Mermaid and Hank from Finding Dory – all sculpted specifically for the Reef. Every day, 618 seriously ill children from across the UK arrive at GOSH, and for those patients who spend weeks or even months on end at the hospital, The Disney Reef is a vital outdoor space where they can spend time with siblings and family members, making treasured memories. Since Walt Disney first visited Great Ormond Street Hospital in 1951, the two organisations have enjoyed a long history of working together. The Disney Reef forms part of The Walt Disney Company’s global commitment to reimagine a child’s patient journey both in and out of hospitals – transforming hospital spaces and experiences and creating Moments that Matter for seriously ill children and those closest to them. These moments help build emotional resilience when they are needed the most.